Absolutely love the shaker bottle but I actually use it for another purpose because I put fruit in my protein drinks therefore, I use my Vitamix Blender. I love this shaker bottle. It’s the perfect size for my protein shakes. It cleans easily and doesn’t leak like other shaker bottles I have. This shaker bottle makes getting my protein in during the work day, or while running errands, easy and mess-less. The bottle does not leak, even if you try! Pretty good little shaker! Love the size, haven't had any leak issues and I love the little storage container! Would be 5 stars if it came with the mixer ball. I use my own. Just my preference, I feel it mixes better but still pretty good. I love this shaker bottle easy to carry, easy to wash & i don’t know how people make their shakes (using a blender or just adding liquid + protein) but I personally add 4oz water 4oz unsweetened almond milk add a banana and the protein powder just shake the bottle & it’s the smoothest consistency! That’s why I love this shaker bottle!!! Very easy for a on the go mommy of 3!! I love this bottle - I have a variety of shaker bottles, but the size and shape of this one is perfect! This shaker is so handy. It is small and fits in the cup holder!!! 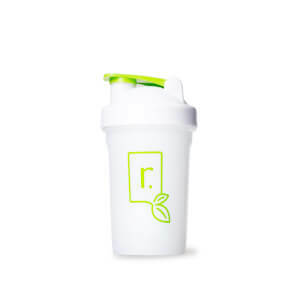 Convenient size cup and has a compartment to store protein powder separately. Great for travelling. IT's the perfect size and with the container attached for the powder(or your vitamins should you use packets) it's idea for traveling or work!